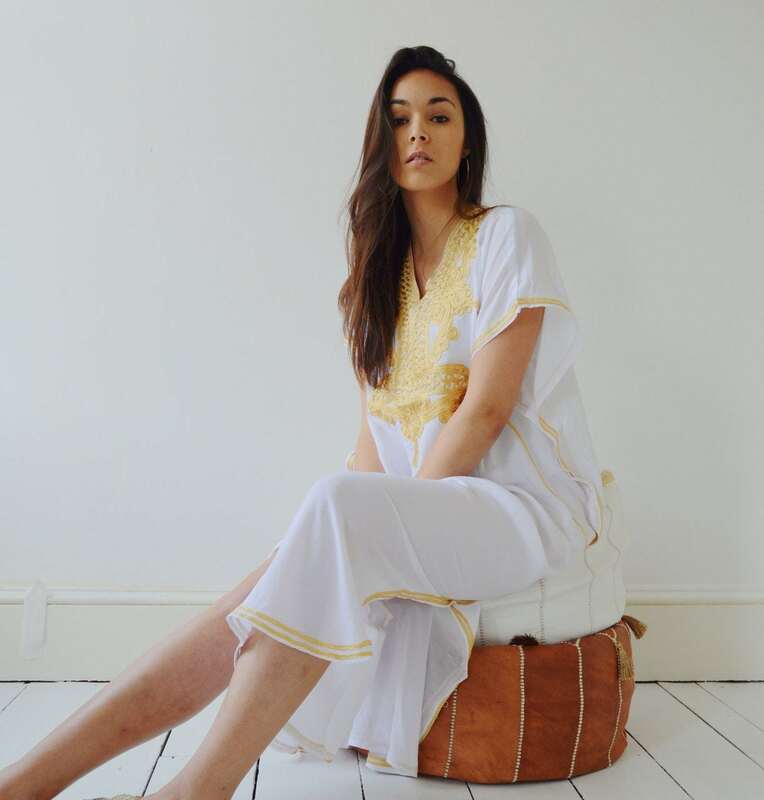 ♥This caftan kaftan comes in One size (Suits S/M/L, up to bust 125 cm,50 inches). A great kaftan piece. The fabric is cotton and soft. Received many compliments from friends. The fabric is just the right thickness. Will recommend Maison Marrakech to anyone. Great customer service and quick shipment. thank you !